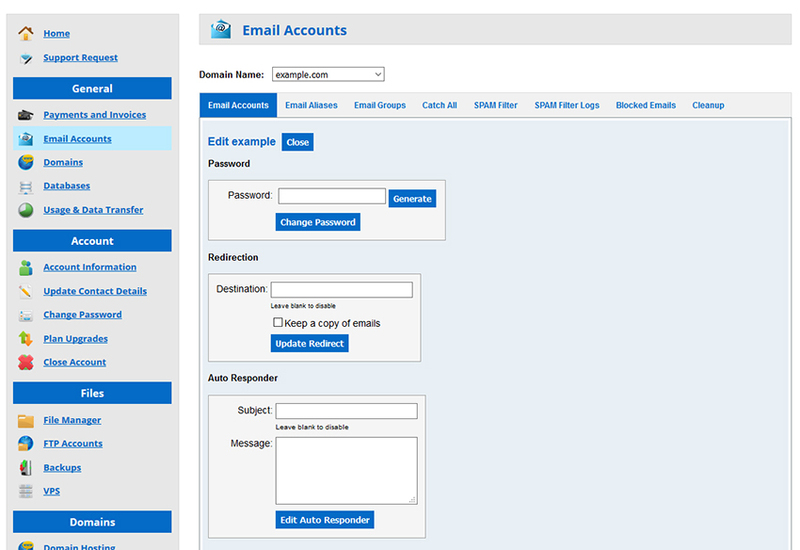 This guide will show you how to edit your email account, as well as additional features like redirects and auto responders. 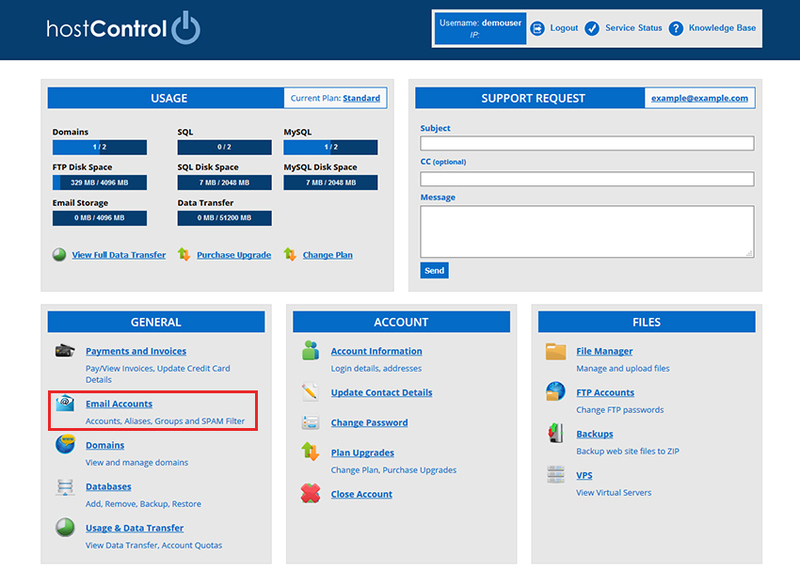 Firstly, login to hostControl and select the "Email Accounts" menu item from the menu, underneath the "General" section. Choose your domain from the drop down list. Find the account you wish to edit and select the "Edit" button to the right side of it (outlined below). The following choices will appear above which give you the ability to Change Your Password, Create an Email Redirect or Set an Email Auto Responder. To change a password, simply enter the new password and select the Change Password button to save. You can also click the Generate button to have a randomly generated password created for you. 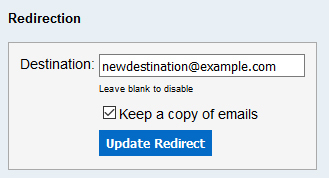 To create a redirect for the email account, enter the new email address in the "destination" box". If you would like emails that go to this account to go to both addresses, select the "Keep a copy of emails" checkbox. Select "Update Redirect" to save. 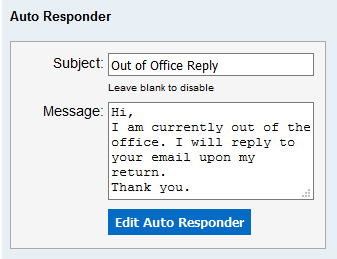 The Auto Responder (also know as an Out Of Office Reply), allows you to create a message that will respond automatically to people contacting you. Enter the subject to be included in the subject line and fill in the message you wish for them to receive. To save, select "Edit Auto Responder". To remove, simply leave these fields blank.